UPDATE! Here is a short video clip of our booth and the products we showed! Thanks to Randy Frank at Design World for the video. 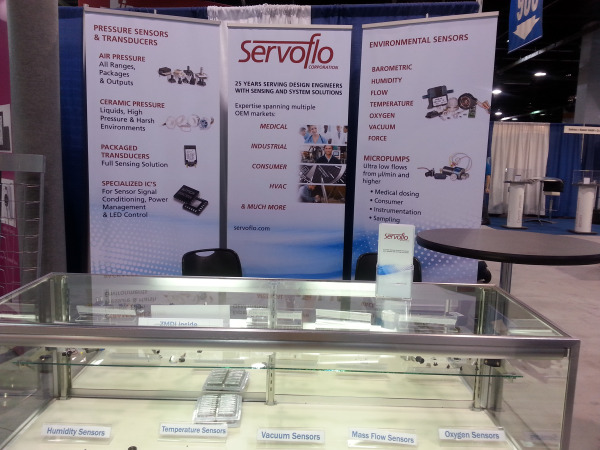 From June 25 to June 26, 2014, Servoflo exhibited at the Sensors Expo show in Chicago. We had a great time and thought it would be fun to share a couple of pictures of our booth. The show was well attended, and booth traffic was busy on both days. 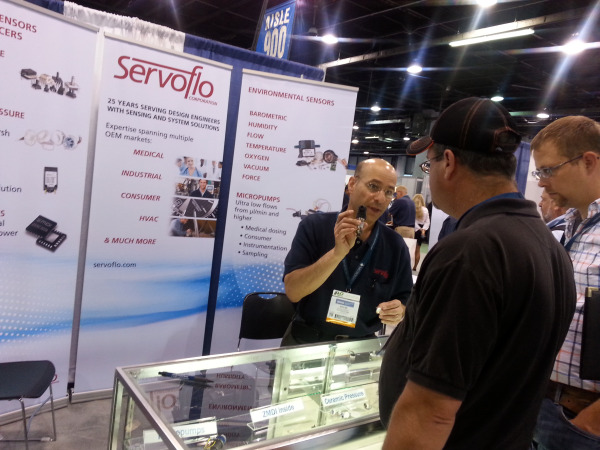 We met many new customers interested in a wide variety of our products. Applications ranged from industrial, consumer, medical and more. It was interesting to see how many people traveled to come to the show, which also had many educational sessions. We enjoyed exhibiting next to our supplier ZMDI (a supplier of signal conditioning IC's, LED drivers, and power management IC's). Their special pink popcorn giveaway was very popular with booth visitors. We hope to see you at next year's Sensors Show which will be held June 9 - 11 in Long Beach, California. You can check out the official Sensors Expo highlights reel here.